Interested in buying a duck hunting sled to help get your waterfowl gear to the blind in the morning? Here are a few things to look for that will help you choose the right one. Duck hunting sleds are a great way to pack gear to your hunting spot without having to carry it all. Sleds help consolidate hunting gear that can be pulled or floated along the way with ease. If it’s really muddy, you can even lay in them for a low profile back rest. If you duck hunt on public lands and are required to walk long distances, sleds are the perfect way to do so without breaking your back. Below are the best duck hunting sleds that you should consider to make hunting a little easier. Duck hunting sleds are an inexpensive option that helps take the work out of hunting. Rather than carry all your decoys and gear to the blind, floating it across water or pulling it behind you is so much easier. Instead of arriving to the blind exhausted, use a duck hunting sled to start and end your hunt on a high note. Shappell Jet Sled (click to check the price at Cabelas) – I’ve used the Sheppell jet sled for over a decade for both duck and goose hunting and it’s never let me down. Whether you’re floating duck decoys and gear to the blind, or pulling it behind the ATV full of Sillosocks for geese, it does it all. This is my top pick. Otter Outdoors Sport Sled (click to check the price at Cabelas) – The Otter Sports Sled is made out of molded polyethylene which keeps it lightweight. The large version of this sled has 11 inch tall sides, which make it one of the tallest sided sleds available. This is your budget option. Beavertail Sport Sled (click to check the price at Amazon) – The Beavertail sport sled is a heavy duty sled with reinforced runners on the bottom to reduce wear. It’s available in 3 sizes and comes in a Marsh Brown color that blends in well for hunting applications. When you sit down and compare the Shappell Jet Sled to the Otter Sports Sled and Beavertail, the differences are noticeable. The Shappell Jet Sled is made out of rugged polyethylene so it can be dragged over just about anything. The Jet Sled is camo patterned so it can blend into hunting situations better. The Otter Sport Sled and Beavertail are harder to hide. The Shappell Jet Sled is lightweight at 11.5lbs. The Otter Sport Sled is heavier at 12.5lbs. The Jet Sled is 54 inches long with 10 inch tall sides. Perfect for storing large amounts of gear and keeping it dry. The Sleds molded runners help guide it through mud and water, while protecting the underside. The Jet Sled is affordable. The Shappell Jet Sled comes with a pull cord mounted into pre-drilled holes. It’s ready to go right out of the box. Here is a great clip of what you can expect to achieve with a good sled for duck hunting. Durable and rugged shell. A good duck hunting sled needs thick material and should resist bending. The Jet Sled is rugged and stiff. Tall sides to prevent water from coming in. 10 inch sides are ideal, but 11 inch sides are even better. Lots of storage space. Most duck hunting sleds that are 54 inches or more in length can hold a ton of gear while still remaining manageable to pull. Mid-ranged hunting sleds can weight up to 13 pounds. 11 pounds is the ideal weight. 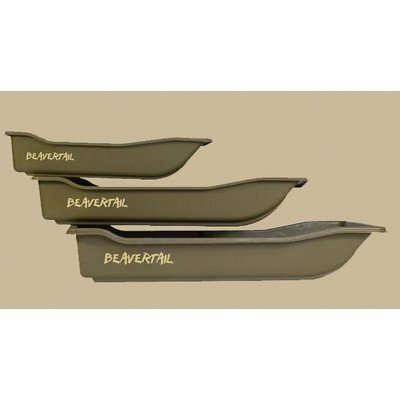 Duck hunting sleds that are either camo or earth color will be easier to hide while hunting. Raised runners on the bottom of the sled help protect it from premature wear and tear that could cause leaks. The taller and more reinforced the runners are, the better. Wear bar kits help protect the runners and serve as a sacrificial barrier to increase the life of a duck hunting sled. They can be added to any sled. Click to check them out at Cabelas. Easily stack-able with other sleds. Duck hunting sleds are polyethylene totes used to transport waterfowl gear to and from a hunting location. Not only do they float well in water, but they also glide over grass and mud when pulled. This makes them effective for moving lots of gear through the marsh or fields without having to carrying it all. Below are the three situations duck hunting sleds are used for the most. What are duck hunting sleds used for? Sleds for walk-in hunting – Walk in hunters are always looking for ways to reduce the burden of having to carry heavy hunting equipment over long distances. Duck hunting sleds solve that problem. Pull behind ATV sleds – Duck hunting sleds can be pulled behind ATV’s to reduce the trips needed to bring all the gear to the blind. Hunting sleds can be clipped together with a carabiner to create a train of sleds. Sleds for kayaks and canoes – Duck hunting sleds float really well and provide a way to transport gear for hunting out of a canoe or kayak. Sleds can be towed behind a kayak and unloaded at the hunting spot. Hunting sleds are versatile tools that add another key piece of equipment to a duck hunter’s arsenal. Not only are sleds used for transporting decoys, but they make great layout blinds and gear organizers as well. Duck hunting sleds can hold over 4 dozen duck decoys and 30+ dozen Sillosocks goose decoys. Aftermarket sled covers attach to the sides of the sled to increase storage even more. Sleds can be clipped together and pulled in a train to maximize the amount of gear taken to the blind in one trip. They are stackable when not in use and can be easily hidden while hunting. Duck hunting sleds have many applications and are really beneficial for walk-in hunters, ATV hunters, and canoe/kayak hunters. Using duck hunting sleds to transport gear to the blind will make your hunt as efficient as it can be. Sleds do not make ideal layout blinds, but they can be used in muddy or wet conditions to hide from waterfowl. The sides of a sled are usually 10-11 inches tall and are low profile enough to work in just about any situation. The best way to hide in a sled is to use a ghillie blanket or other camo material to pull over you. The issue with using a sled as a blind is mobility. It can be difficult to swing a shotgun or pivot your body while lying prone in a sled. Another issue is that your feet have to dangle over the side of the sled and this can be uncomfortable on long hunts. Still, if you want to minimize your gear load and not have to haul in a layout blind as well, a duck hunting sled can be fashioned into a blind for really wet conditions. Interested in new waterfowl gear? Check out this year’s new items here!